Not all blue Phalaenopsis are alike ! 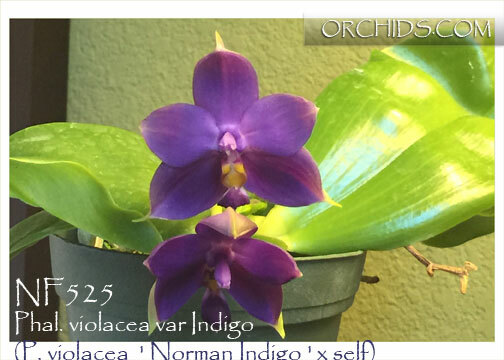 This amazing selfing of ‘Norman’s Indigo’ has already received its first AM/AOS of 82 points, granted to our client, Gene Tobia, in Philadelphia, PA. An F1 selfing of the very dark blue form of Phal. violacea ‘Indigo Blue’, ‘Norman’s Indigo’ came from two dark blues produced by Frank Smith and HP Norton’s breeding programs. 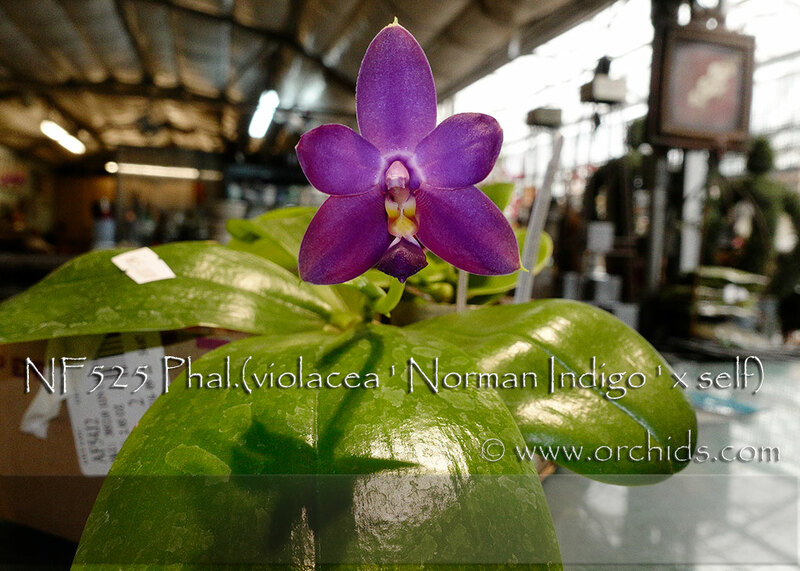 We expect about 50% of this population will flower as indigo blues with the remaining progeny producing very deep fuchsia flowers with a larger flower size, all of which will have that wonderful Phal. violacea fragrance. ‘Norman’s Indigo’ was selected for its vigor and free-flowering habit, two pluses for indigo-type violaceas. Why not enjoy the range this selfing will produce by flowering more than one? Very Highly Recommended ! Note : in spike , extremely fragrant .